As a top real estate agent in Bradford Ontario I can guide you through buying or selling your home. Bradford’s real estate market is experiencing a lot of growth recently and is not a small town anymore. There are many new home developments that are popping up in the past few years. People are starting to move to Bradford due to the more affordable homes in the area as compared to the city. As the best real estate agent in Bradford, I am very knowledgeable of the town. The 2006 Statistics Canada Census lists the population of Bradford West Gwillimbury as 24,039 residents. By pursing a focused economic plan, the community successfully supports existing businesses and encourage new commercial and industrial enterprises. Opportunities have been found in the many and varied skills of the residents. Opportunities have also been realized by diversifying the economic and agricultural base and by promoting a comprehensive tourism strategy. Through revitalization, the downtown has become an attractive and active “people place”. Bradford West Gwillimbury is governed by a financially and socially responsible municipal administration. It is a responsive administration that appreciates the diverse needs of its residents. By encouraging public awareness and participation in the decision making process, the joint efforts of municipal government and residents have ensured that the communities vision for the future is realized. 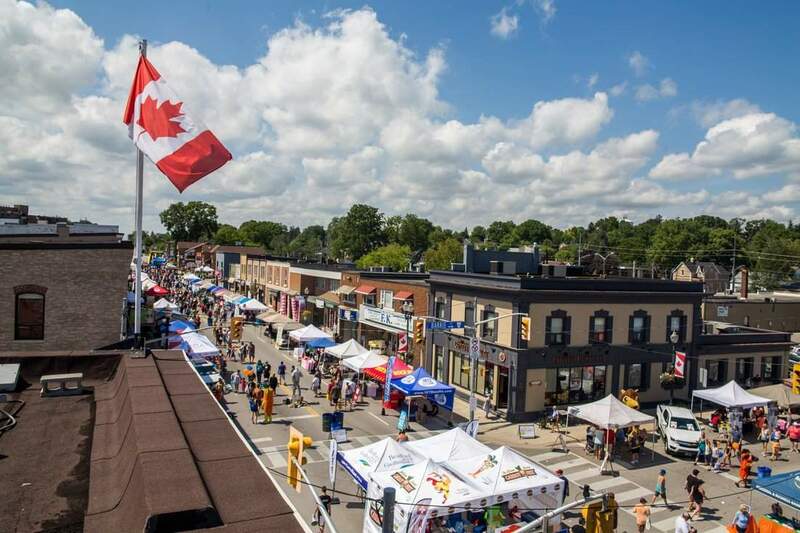 Bradford West Gwillimbury is a desirable place to live, work and play. The mayor of Bradford is Rob Keffer. Public transit is new in Bradford and is still very limited. It has two bus lines that run across the town during the day. GO Transit has bus routes that connect the town to Barrie and Newmarket. It also has a station on GO Transit’s commuter train network, which goes all the way south to Toronto, and north to Barrie. There are 12 schools in the town, including two secondary schools, including public, french immersion and catholic schools. The best real estate agent in Bradford will guide you how to find the best schools in the area. Fun Fact: Frank Ferragine is a Canadian television personality. He is the “weather specialist” on City’s morning show Breakfast Television in Toronto, Ontario. Bradford condos for sale are hard to come by, but there are a few developers planning on building a few high rise condos. The town has a number of facilities available for public rentals, including halls, arenas, soccer fields and baseball diamonds. There are over 100 acres of parks and open spaces to be enjoyed year round in Bradford. You are welcome to bring your dogs to any of the parks. However they must be leashed. You can cool off during the hot summer at one of the four children’s splash pads. BWG Leisure Centre has many things to do such as swimming, skating, fitness facilities, gymnasium and more. Homes for sale in Bradford Ontario are in abundance. A Bradford real estate agent like myself has all the market updates. The average price for a Bradford home is $654,289 as of Oct 2018. If you are looking for homes for sale in Bradford, condos for sale in Bradford, townhouses for sale in Bradford, bungalows for sale in Bradford, homes for rent in Bradford, condos for rent in Bradford, or townhouses for rent in Bradford please contact me here. For any of your real estate needs, I would be happy to help. If you would like to search for Bradford real estate listings, you can go here. All available houses for sale in Bradford and surrounding areas will be there. The best Bradford real estate agent at your service!